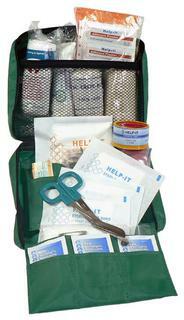 Some of the worst and most severe First aid accidents or emergencies happen on Industrial work places where the worker finds himself closest to injury, our range of industrial work place first aid kits are packed with strong medical and first aid items to help with most first aid incidents. The law states that every business and place of work, including company vehicles must provide immediate access to an adequate first aid kit. 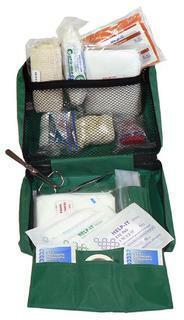 Our first aid kits far exceed the legal requirements and are available in several different sizes.